Our goal is to connect people with the best local experts. We scored personal injury lawyers on more than 25 variables across five categories, and analysed the results to give you a hand-picked list of the best personal injury lawyers in Charlotte, NC. Founded in 2007, Arnold & Smith, PLLC, is an Uptown Charlotte law firm with personal injury, divorce, bankruptcy, and criminal law practice groups. Attorney Matthew R. Arnold has helped victims of automobile accidents, medical negligence, defective products, and unsafe premises to receive financial compensation through trials and settlements. He began his legal career handling defense litigation for major insurance companies. The Observer recently named Mr. Arnold Readers’ Choice for Best Charlotte Lawyer. Auger & Auger is a firm of North Carolina personal injury lawyers with offices in Charlotte and five other locations. The law firm’s AVVO Clients’ Choice Personal Injury Attorneys are available 24/7 and have recovered more than $50 million dollars on behalf of clients. Ninety percent of Auger & Auger cases settle out of court. Attorney Arlene P. Auger worked directly for insurance companies before focusing on supporting accident victims. Charlotte personal injury attorneys at Brown, Moore & Associates, PLC, have represented local plaintiffs seeking damages for injuries due to another's fault for more than 35 years. Attorney Moore previously worked for a law firm that dealt with automotive crashworthiness. Attorney Brown has obtained recoveries in medical negligence and road construction injuries that were the largest in North Carolina at the time. Legal assistance is available in Spanish. Charlotte attorneys who handle personal injury legal matters for Caudle & Spears, P.A., are recognized North Carolina Super Lawyers and Business North Carolina’s Legal Elite. The full-service civil litigation law firm has represented businesses and their owners, high-wealth individuals, and local families and individuals since 1973. Caudle & Spears cases have involved serious and catastrophic injuries, premises liability, property damage claims, real estate, corporate formation, and insurance defense. The founder of Charles G. Monnett III & Associates is a Charlotte personal injury attorney and leader in traumatic brain injury related matters. The firm serves North and South Carolina clients who have suffered serious injuries from animal-related incidents, falling merchandise, liquor and bar liabilities, police brutality, vehicle accidents, and malpractice. Attorney Monnett is a North Carolina Super Lawyer designee, and an AVVO Personal Injury Top Attorney. Charlotte attorneys with DeVore, Acton & Stafford PA (DAS) use new and efficient legal technology and skills and ethics, which are highly rated by peers, to fight for financial recoveries on behalf of injured individuals. Attorneys Fred W. Devore III and F. William DeVore IV are designated Super Lawyers and handle insurance bad faith, catastrophic injury, and wrongful death cases. More than 40 opinions issued by the NC Court of Appeals reference DAS legal work. 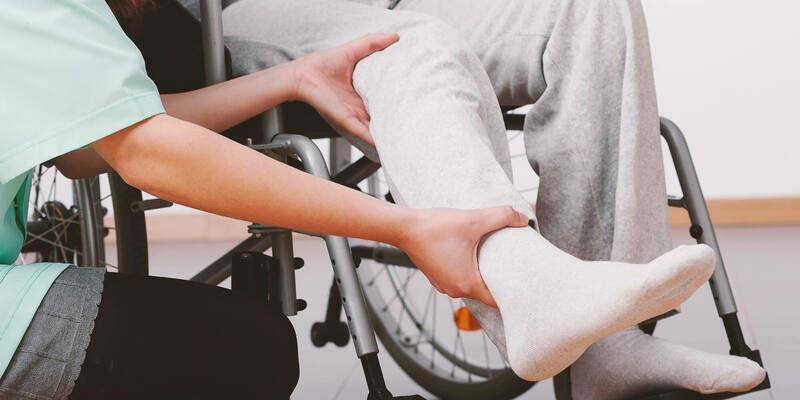 Dewey, Ramsay & Hunt, PA is a Charlotte personal injury law firm with a team of trial attorneys who have been representing injured people in court for more than 30 years. Attorney Ramsay is a Board Certified Specialist in Workers’ Compensation Law, and staff members can communicate with clients in Spanish. The firm accepts cases involving serious injuries and its lawyers do not pressure clients to settle quickly. Founded in 1979, Dozier Miller Law Group is a full-service Charlotte law firm with a personal injury and wrongful death practice. The 17 lawyers on staff include two former judges, eight AV Preeminent Rated attorneys, and two National Trial Lawyers recognized young lawyers. Dozier Miller personal injury attorneys have experience representing families who have lost loved ones and individuals suffering catastrophic industries from medical malpractice and aviation, automobile, and trucking accidents. Essex Richards is a 40-year-old Charlotte law firm that is one of the best places to work, as voted by the Charlotte Business Journal. Personal injury and wrongful death cases are among the group's more than a dozen practice areas. Attorney Edward G. Connette handles injury, wrongful death, and class action suits at Essex Richards and has taught trial practice skills at the National Institute of Trial Advocacy. Hull & Chandler, P.A. is a Charlotte personal injury, divorce, and business law firm with attorneys who have been helping clients obtain compensation for injuries since 2003. Attorney Michael Chandler began practicing law as an insurance defense attorney before co-founding his firm to represent accident victims. He has had several cases highlighted in NC Lawyers Weekly and negotiated record-breaking settlements. Personal injury attorneys and legal staff at the Law Offices of Brian deBrun, PLLC, in Charlotte, can communicate with clients in Spanish, Vietnamese, and English. Attorney deBrun is a leader in the Mecklenburg Medical Legal Society. He has helped to recover millions of dollars on behalf of individuals injured in automobile accidents due to distracted driving, DUI, and uninsured at-fault motorists, as well as slip and fall incidents. A team of Charlotte personal injury lawyers and investigators at The Law Offices of Jason E. Taylor P.C., use advanced legal technology to help injured individuals and families with wrongful death claims receive compensation. Attorney Taylor is a member of the Motorcycle Injury Trial Lawyers Association and the Concerned Bikers Association. He is licensed to practice law before all NC courts, two federal courts, and the Eastern Band of Cherokee Indians. The Midtown Charlotte location of the Law Offices of Michael A. DeMayo L.L.P. has a staff of 70, including many fluent in Spanish and English. They are available to assist individuals who have suffered serious injuries at the fault of others. The firm has served more than 42,000 clients since 1992 and settles about 90 percent of its personal injury cases. Attorney DeMayo is a benefactor and founding member of the Mecklenburg Trial Lawyers Association. Lewis & Roberts is a law firm with attorneys in Charlotte and Raleigh who assist individuals with civil litigation matters including personal injury, wrongful death, workers’ compensation, and construction law. The firm handles complicated, often high-profile cases and appeals involving large losses such as malpractice and school bullying and abuse. Attorney Roberts has helped obtain several multi-million dollar recoveries. Lewis & Roberts began operations in 1977 and has an AV Peer Rating. Lewis Law Firm LLC is a team of Rock Hill personal injury attorneys representing clients in Charlotte and throughout the Metrolina area. The firm has never represented an insurance company, handling cases only on behalf of individuals injured due to another’s negligence or reckless action. Cases have involved traumatic brain injury, amputation, Complex Regional Pain Syndrome, and wrongful death, caused by car accidents, medical malpractice, and workplace negligence. A staff attorney is bilingual in Spanish and English. Attorney Martha Ramsay of Ramsay Law Firm, P.A., is a Board Certified Workers’ Compensation Specialist with more than 20 years of experience representing injured individuals. The Charlotte personal injury attorney’s success in negotiating and litigating for compensation on behalf of clients has resulted in her inclusion in the Multi-Million Dollar Advocates Forum and the National Association of Distinguished Counsel Top One Percent. She also advises the NFL Players Association on workers’ compensation legal matters. Ricci Law Firm, P.A., is a team of injury and disability attorneys serving clients in the firm's Charlotte and four other offices. Attorney Ricci is certified by the North Carolina State Bar as a Specialist in Social Security Disability Law. Multiple firm attorneys are members of the Million Dollar Advocates Forum, having helped obtain significant settlements for individuals who suffered work-related and personal injuries involving motor vehicle accidents and product and premises liability. Attorney Brian Steed Tatum founded the Tatum Law Firm PLLC in 2006 to represent Charlotte and Greater North and South Carolina individuals and small businesses in personal injury and commercial litigation matters. A sole practitioner, Attorney Tatum handles cases involving medical malpractice, wrongful death, and car, truck, and motorcycle accidents. He has an AVVO Excellent Rating, is TNTL Top 100 recognized, and is fluent in Spanish. Tippens & Zurosky (T&Z) is a Charlotte law firm that handles personal injury, workers’ compensation, and wrongful death claims in North and South Carolina. T&Z attorneys do not represent corporations or insurance companies. They assist injured individuals in recovering damages from circumstances such as dog bites, drunk driving, and plane, helicopter, boat, construction, and pedestrian accidents. The firm is Better Business Bureau accredited and can provide legal assistance in Spanish. Whitley Law Firm is a personal injury law practice that began in 1974 and has eight locations, including one in Charlotte. The senior Attorney Robert E. Whitley has handled catastrophic injury and wrongful death cases for 40 years. Whitley’s sons, Robert Jr., and Benjamin, also assist clients with social security disability and pharmaceutical malpractice matters. Each Whitley attorney is a leader in the North Carolina Advocates for Justice.